If you had to rank Nebraska's starting quarterback among the others in the Big Ten, where would you put him? Those rankings were compiled by Steve Lassan, who has a national scope and writes much of the rankings-based content at Athlon. His vote for Martinez––with an important nod towards Tristan Gebbia's spot in the race––is interesting for that reason. 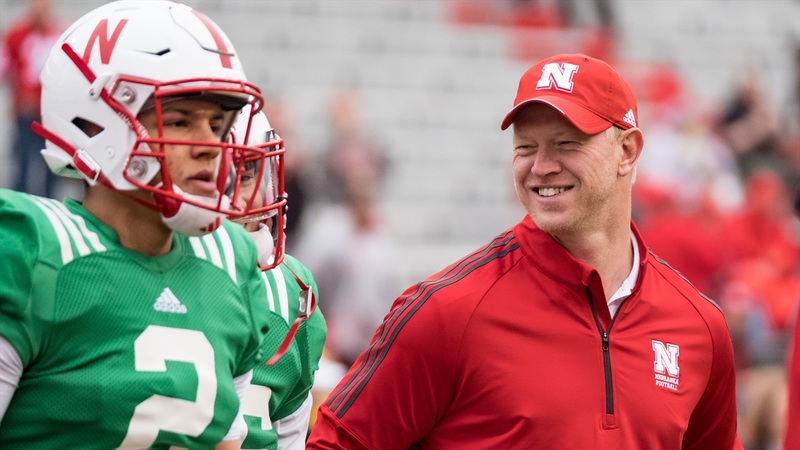 He's not uniquely connected to Nebraska, the Sea of Red isn't his local watering hole, but he still came away from the Huskers' spring giving Martinez enough of an edge in the race to make him the headliner. And based on the full blend of talents, a lot of people who do live Husker football everyday came away with similar view. In terms of "arm talent" there aren't many quarterbacks in the country who are better than Gebbia. Martinez's talent––lesser with the arm, greater with the legs at this point––is generally viewed as the better overall fit, however. But it's not about talent for quarterbacks coach Mario Verduzco. "An evaluation process based on skill development provides the coach with rational justifiable criteria to choose the quarterbacks on the team," Verduzco wrote in his master's thesis. "In addition, it allows him to make an initial choice of the starting quarterback." Looking at that list of sure-fire and presumed starters in the Big Ten I was a little surprised at how fluid it could be. Trace McSorley is a clear No. 1, but things get jumbled quickly among the other returning starters (much less the schools with ongoing QB derbys). Would you rather have Brian Lewerke or Alex Hornibrook? Clayton Thorson or Kasim Hill, two players coming back from knee injuries? I don't know if Nebraska's next quarterback will approach those heights, but I do think Nebraska will get slightly better production out of its first-year quarterback, whoever it is. AD Bill Moos offers some comments on the recent audit of Washington State's athletic department. Georgia's 2017 football season had an immediate financial impact on the university. Former Boys Town basketball star Teddy Allen is transferring from West Virginia. ICYMI: Nebraska volleyball has plenty of home-cookin' on its 2018 schedule and Greg Smith caught up with one of the Huskers' hopeful 2019 quarterbacks.